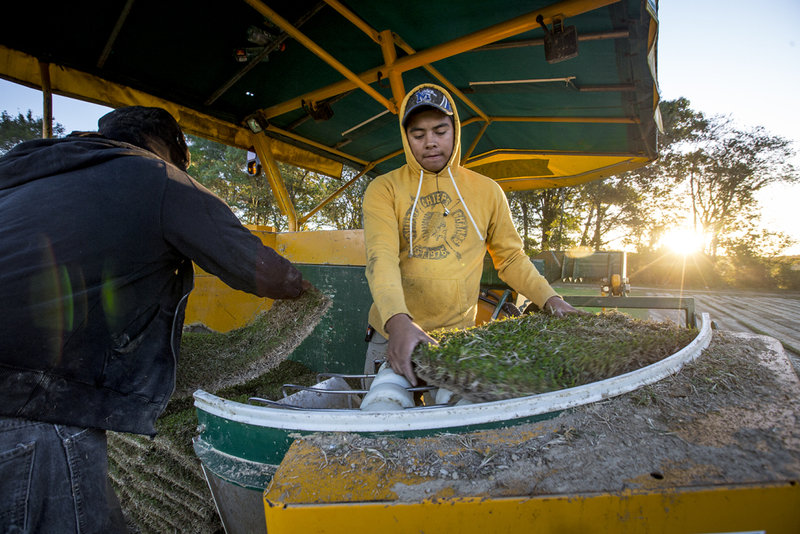 Winstead Turf Farms, Inc. supplies high-quality turfgrass to Memphis and surrounding areas. We were established in 1978 and are family owned and operated. Our original farm was located on 11 acres in Lakeland, TN. In 1983, additional farms were added in Arlington. Currently, we have approximately 800 acres in production in Shelby and Fayette Counties. The goal at Winstead Turf Farms, Inc. is to produce the highest quality turfgrass while providing superior service. Our customers include landscapers, building contractors, golf courses, nurseries and municipalities as well as homeowners. We pride ourselves in offering some of the most innovative grasses available on the market today. Our affiliation with several research and development professionals gives us access to some of the best varieties of turf available for difficult applications. We strive to supply the right grass for the right situation. Winstead Turf Farms, Inc. is also a grower of Tennessee Crop Improvement Association Certified turfgrass. All of our grasses are produced using the strict compliance standards established by the USDA Division of Plant Industries. In the future, we hope you will allow Winstead Turf Farms to supply all of your turf needs. Show your customers and their neighbors that your grass is greener.